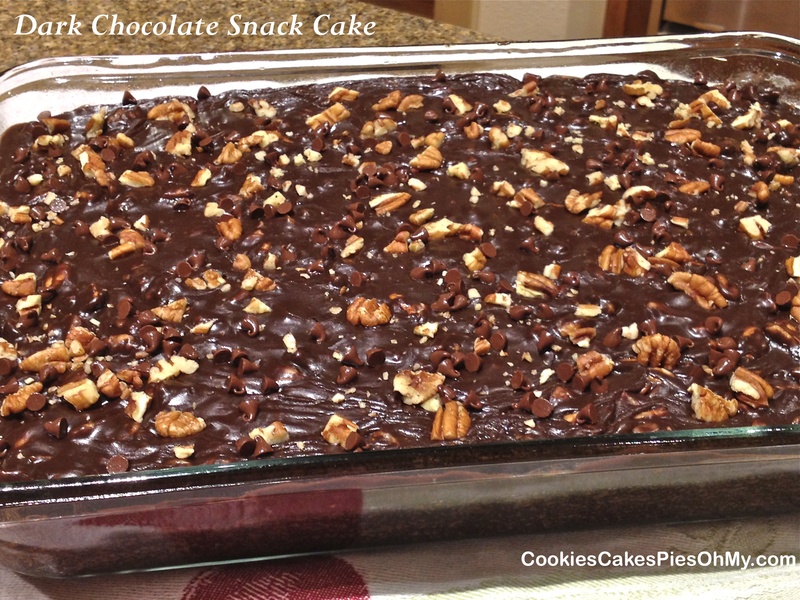 This recipe is a lot like chocolate sheet cake or Texas sheet cake with a couple twists. Made in a 9″x13″ pan and uses cola, marshmallows and cinnamon to add some extra zing! I believe I found this recipe a while ago in an old Taste of Home magazine. I will post a picture tomorrow when I cut into it with the Fam! But for now it’s midnight…the kitchen is closed, goodnight. Preheat oven to 350°. In large bowl, stir together flour, sugar, baking soda, cinnamon, and salt. Stir in marshmallows; set aside. In small saucepan, bring dark cocoa, cola, oil, and butter to boil. Pour over flour mixture and mix well to melt marshmallows. Stir together eggs, buttermilk, and vanilla; beat into batter. Pour into sprayed 9″x13″ baking pan. Bake for 35-40 minutes or until done in center. Cool. In saucepan, heat cola, butter, and dark cocoa to boil; remove from heat. Whisk in powdered sugar. 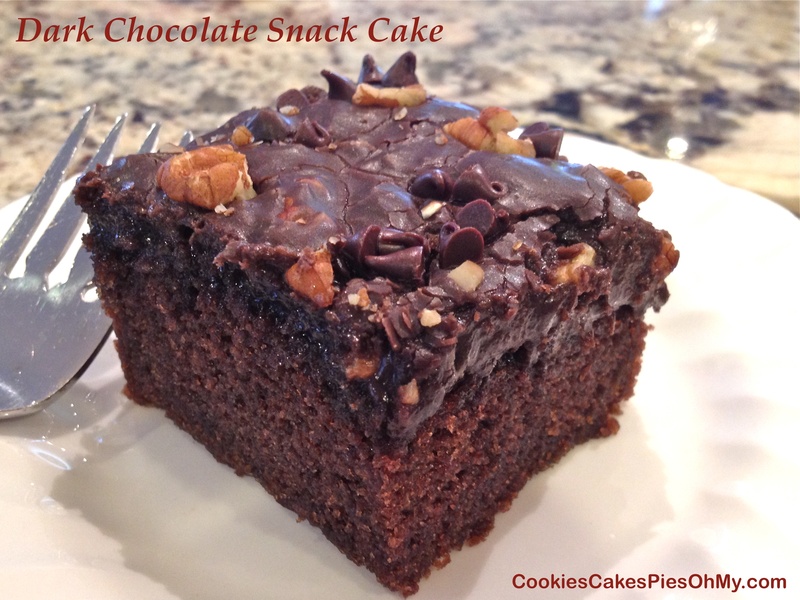 Pour over cooled cake and sprinkle with more chopped pecans and mini chocolate chips if desired.